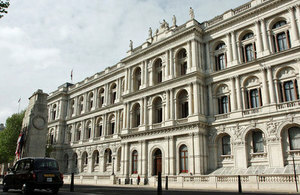 Foreign Secretary William Hague will host the London Conference on Cyberspace starting on 1 November. Governments, international organisations, NGOs and businesses from across the world will be attending. The conference will start to address how all of these key actors in cyberspace can maintain the economic and social benefits of the internet and guard against the criminal and security threats posed in cyberspace. The Foreign Secretary announced the conference in his speech “Security and freedom in the cyber age - seeking the rules of the road”. He outlined the social and economic benefits of the internet, and the need to ensure a safe and secure cyberspace for the future, in an article placed in 43 countries worldwide. Key speakers include: Helen Clark, Administrator of the United Nations Development Programme; Jimmy Wales, founder of Wikipedia; Atiaf Alwazir, Yemeni activist and researcher; Sachin Pilot, Indian Minister of Communications; Yu Zhou, Vice President, Tudou.com; Eugene Kaspersky, CEO Kaspersky Lab. more details on the programme, including speakers, delegates and the themes the conference will discuss. The main sessions from the Conference will be live streamed.